I can't remember where I first tasted Chaource. Possibly it was an expensive purchase from Waitrose's high end cheese selection. But I remember that I loved it — meltingly soft, with a slightly mushroomy flavour and a yummy rind — and I have a dynamite recipe for it which I will post soon. Recently I was delighted to discover that this traditional French village cheese (it's named after the village of origin) has become more widely available. It turned up, quite reasonably priced, at both Tesco and Sainsbury's. So this is my comparison of the two. The Sainsbury's one (£3.30) was, ahem, simply divine. The Tesco example (£3) was, initially, disappointing. More sour than Sainsbury's and with a less appetising texture. 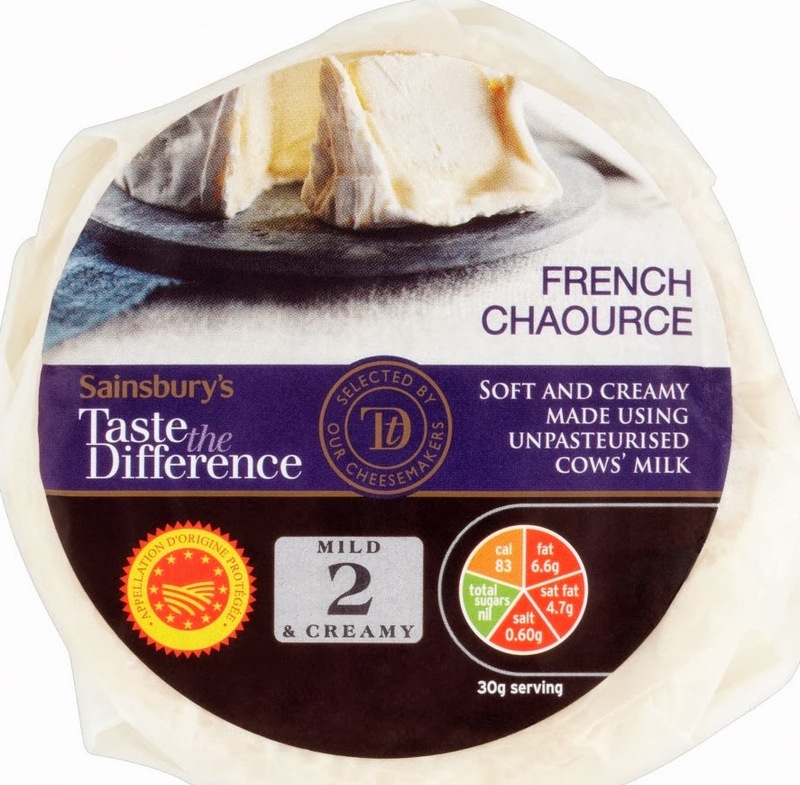 But, in fairness, the Sainsbury's Chaource was vastly riper — to be honest, I forgot it was in the fridge and only discovered it weeks later, after the blur that was Christmas. And as the Tesco Chaource grew more ripe and runny, its flavour improved dramatically. I will have to get two more samples, and age them for exactly the same length of time, eat them both and report back with the results. It will be hell, but I'm willing to make the sacrifice for you. 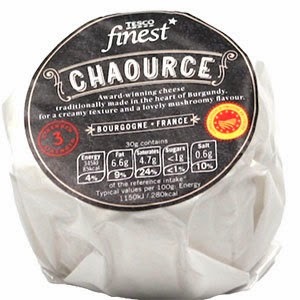 Update: I've now had another sample of the Tesco Chaource (thanks, Chuck) and it was simply delicious.